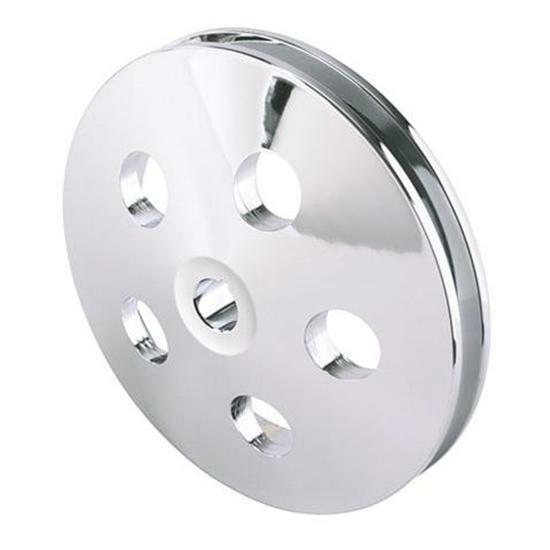 These power steering pump pulleys for a long water pump are available in plain(Pln), polished(Pol), or chrome(Chr). Pulley listed is 5-3/4" in diameter. Choose from plain, polished, or chome finish.